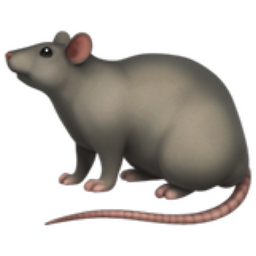 A Las Vegas lawyer who was accused of intimidating a witness partly by posting a rat emoji won’t be charged with that offense after pleading guilty in a separate case. Alexis Plunkett, 38, pleaded guilty to allowing clients to use cellphones in jail, report the Las Vegas Review-Journal and Fox 5. Plunkett pleaded guilty to possession of a telecommunication device by a prisoner as part of a plea bargain. One of the prisoners allowed to use Plunkett’s cellphone was her then-boyfriend, Andrew Arevalo, according to an amended indictment. Plunkett has said she used the phone to make calls regarding bail, and she thought that was permissible. Prosecutors will drop charges in the separate case involving alleged online threats by Plunkett, according to the Review-Journal. A redacted arrest report had claimed that Plunkett made the threats with the rat emoji on at least two Facebook pages, one for her law office and the other for the Las Vegas Review-Journal. The March 19 plea deal bars Plunkett from posting on social media and from practicing law in Nevada. She agreed to a suspension of her law license in the state for five years and a day. A judge had revoked Plunkett’s bail in the cellphone case last week because she allegedly threatened Arevalo’s life in a group text with five other lawyers. “I’ve placed hits in every Nevada prison on Andrew with every homie and lifer I know,” Plunkett allegedly wrote. The judge set bail at $40,000 at Plunkett’s plea hearing Tuesday. If she pays the bail, she will be on electronic monitoring and will be barred from any contact with the woman she called a snitch.